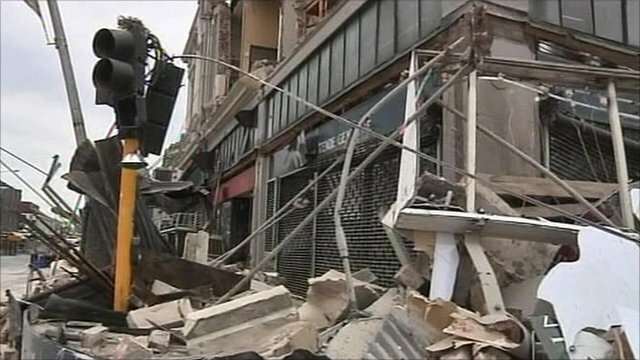 Aftershocks hit NZ's Christchurch Jump to media player Aftershocks rattle the New Zealand city of Christchurch, damaging buildings and cutting power, months after a major earthquake. New Zealand assesses damage Jump to media player Officials in New Zealand have been evaluating the damage caused in the city of Christchurch by an earthquake and its many aftershocks. 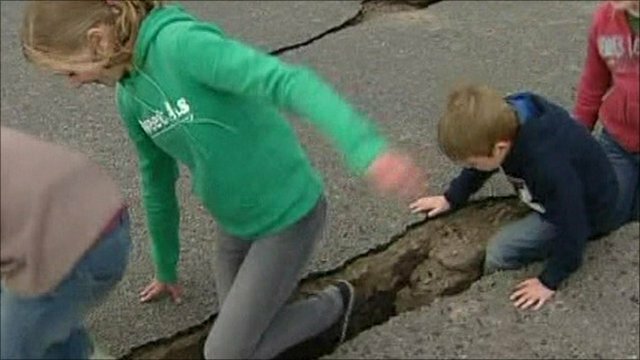 New Zealand counts cost of quake Jump to media player New Zealand is attempting to calculate the cost of Saturday's earthquake and its continued aftershocks. 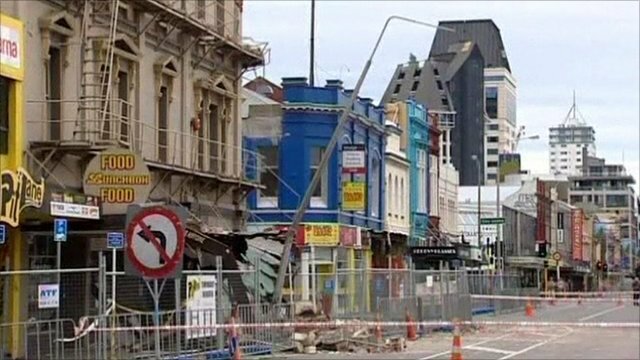 A series of strong aftershocks from a September earthquake has rattled Christchurch in New Zealand on one of the busiest shopping days of the year, cutting power and damaging buildings. There have been no reports of injuries, but central parts of the city have been cordoned off. Speaking from Christchurch, Radio New Zealand's Ian Telfer told the BBC it was only by pure luck that no-one was injured.